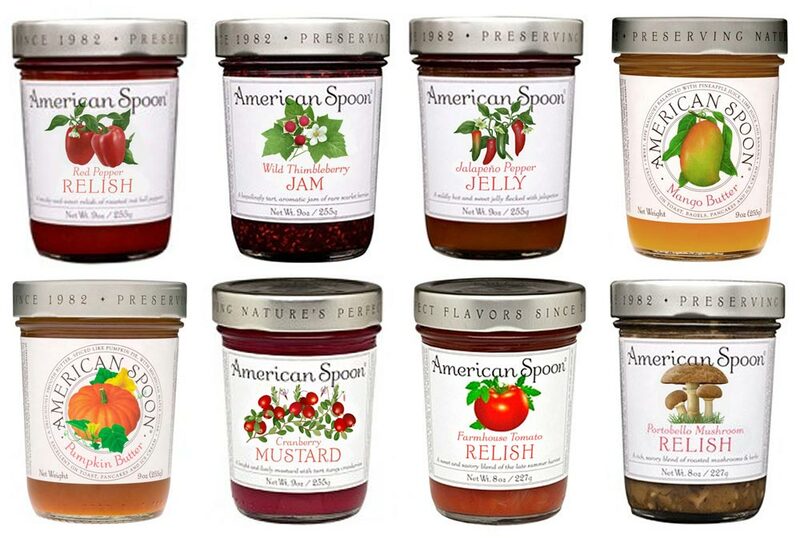 For the past four years I’ve been working on a series of labels for the Northern Michigan-based family company American Spoon. 61 different preserves, marmalades, relishes, condiments, and grilling sauces bearing labels with my illustrations now line American Spoon’s stores and cafes in Michigan as well as retail outlets around the United States, including some varieties in our local Wholefoods. More flavors are in the pipeline. Pictured below are some recently launched or relabeled products.